When Ali first meets Amirah, he notices everything about her – her hijab, her long eyelashes and her red trainers – in the time it takes to have one look, before lowering his gaze. 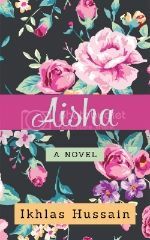 And, although Ali is still coming to terms with the loss of his mother and exploring his identity as a Muslim, and although Amirah has sworn never to get married, they can’t stop thinking about each other. I’ll just start of by saying, I have never read a book by a Muslim author or one that even mentions Islam. I didn’t think ‘halal love stories’ were really touched upon or discussed. So, I was excited to review She Wore Red Trainers by Na’ima B. Robert with no expectations or preconceptions. Let’s start this review of on a good note by discussing the amazing writing capability of Ms B. Robert. Amirah was portrayed in such as inspiring manner, a girl who didn’t want to get married and have a family as soon as she left school. Amirah’s brother Zayd is the perfect example of the pressures girls are put under in term of marriage “You’re not a little kid anymore… it’s better and safer to marry while you’re still young”. How many of us have people like this breathing down our necks as soon as we hit 18? However, the writer hits back by putting a voice to what many girls are experiencing by deciding to put off marriage for a while, “Marriage isn’t part of my plans… I’m going to university inshallah.” A reminder that prioritising your goals is nothing to be ashamed about. Another part of the book I quite liked was the struggles Ali’s brother Umar had with converting to Islam. Umar acted out against his family and his faith, after the loss of his mother. Many people in life struggle with their faith and in times of loss often find it hard to stay strong, Umar was a clever example of this. He was full of angst and pure heartbreak (at the end), but honestly Umar needed to follow his own path, not blindly to his brothers, “But I want you to know (Umar), that I’m right here with you. I won’t ever give up on you, OK? I promise.” Okay here come the tears. Next comes the controversial topic, depression. Amirah’s mother was diagnosed with depression after a trail of failed marriages, leaving Amirah to fall into her mum’s footsteps and look after her siblings. However, instead of tackling her depression, Amirah’s mum chooses to focus on her failed marriages and not her own health, “I’m the kind of woman who needs a man around. That’s who I am.” I may be guilty of judging her, but being dependant on men isn’t being a good parental figure. Your family’s happiness should come first, not just your own. Without going into too many spoilers, Na’ima writes about topics that are relevant to both boys and girls. The expectations people have of us and the awful weight it puts on our shoulders when we lose faith in ourselves is a crippling feeling that everyone experiences. No matter if you’re Muslim or not, no one wants to let down those we love and be less than perfect. But this book proves that it’s your own expectations that matter. Unfortunately, with every review comes the negative part and now it’s time for mine. Towards the end of the book it seemed like the author was pulling out random ideas from out of thin air. They weren’t linked to what was happening at the time and then when I finally accepted what was happening, she would move on! The writer introduced a big topic and then moved on without exploring it or even explaining to us confused readers why she even mentioned it in the first place. It came and went in a flash. Also, when I finished the book my mum asked me what it was about… and I didn’t have an answer. Na’ima may have included loads of different topics in the book but at the same time there wasn’t a storyline. Now, it may seem confusing but I promise you it’s not. Let me explain, when I started writing this review I reminded myself not to give away any big spoilers, then I thought… there are no spoilers in this book. No big plot spoilers, or anything to make you gasp out loud or even something that I didn’t guess. I went in to this book with no expectations or preconceptions but it turned out I didn’t need any expectations because nothing happened in it. I’m honestly trying not to be harsh on the author in any personal way (her writing skills are still awesome!) but this book just didn’t do it for me. To summarise, I would recommend She Wore Red Trainers for those of you who haven’t had the pleasure of reading a story centred around Muslims before, like me. I was such a newbie that I was even surprised that Islamic terms were mentioned. It’s a great introduction into the genre. However, for those of you who enjoy fast paced and gripping books beware it probably won’t fulfill you. For a chance to read She Wore Red Trainers or any other book from Kube Publishers, use the discount code bloggers10 for a 10% discount on your order! Inshallah you’re doing well and I’m glad you enjoyed this book! To answer you’re question, I definitely feel that this book didn’t have much of a storyline. Your comment about emailing to avoid spoilers actually helps prove my point, there are no spoilers in this book. Hardly anything happens in it. Think about it, what’s the book actually about… A girl and guy who like one another and are worried about exam results. That’s it. A few points does not make an entertaining book. There were no twists or turns, nothing to make you intrigued and the book is instantly forgettable once you’re finished, which is something that tells me whether the book was good or not. I hope this answers any questions you have and inshallah I haven’t offended you with anything I’ve said.